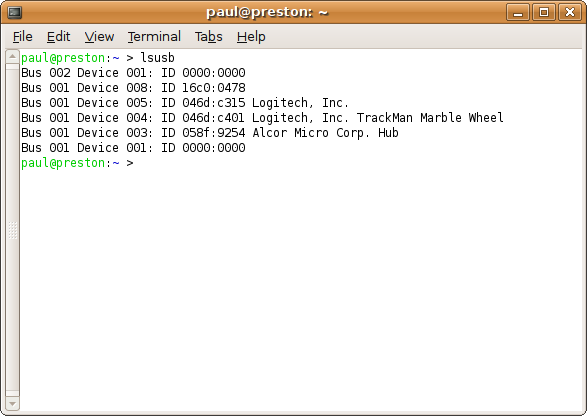 Open a terminal window and run the "lsusb" command to show a list of all the USB devices. You can also type "lsusb -v" for very verbose information. The HalfKay ID is 16c0:0478. If you prefer to look directly at the /proc files provided by the kernel, search /proc/bus/usb/devices for Vendor=16c0 and Product=0478.